you the true color of most of the bears shown. Just call or email me! Looking for a bear in a special color? Click on thumbnail to get a larger view. Have a special teacup that is looking for a companion bear? match your special cup and saucer or mug at a discounted charge. Mostly available as 9" version for $95. 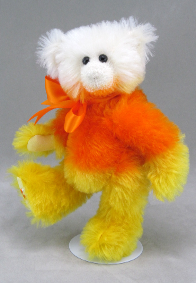 An occasional 8" special bear available at $90. Nothing is constant but change! 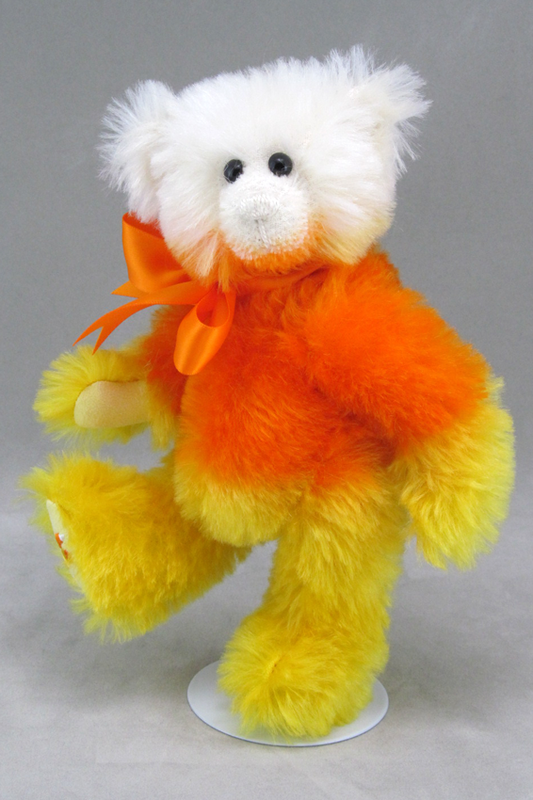 I have been unable to obtain the exact mohair that I been using to make the 8"
that same sweet face and feel that you've made so popular. old size. But any new colors will henceforth be made in the new size. I hope you will love them just as much! Solid colors in the new size will be $80.